Often overshadowed by Madrid and Barcelona, undiscovered Valencia happily remains somewhat of a hidden gem among Spain’s big-ticket tourist highlights. Though the third-largest city in Spain, Valencia doesn’t suffer from the problems of those other cities – We don’t have pickpockets, traffic congestion or overdeveloped tourist zones but still have everything a visitor could ask for, from an abundance of gourmet restaurants, cultural must-sees (including two UNESCO heritage sites) and a lively historic centre that knows how to host a great party. Valencia has, quite simply, all of the good and none of the bad! Looking for kilometres of whitesand beaches easily accessible by a clean, world-class metro system? Check. Want to explore an historic city centre (Valencia’s is the largest preserved medieval centre in Europe)? Check. Keen on visiting great museums and cultural attractions? Check. 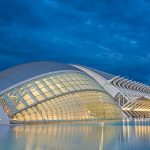 With over thirty museums covering everything from science to art as well as hosting dozens of festivals throughout the year, Valencia is sure to satisfy your need for deeply cultural experiences that will inspire and impress. 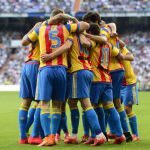 Even our football team is a bit unsung – Valencia FC are constant contenders in the Champions League and regularly give Real Madrid and Barca a run for their money. Their famed stadium Mestalla, is the oldest in Europe and the steepest! 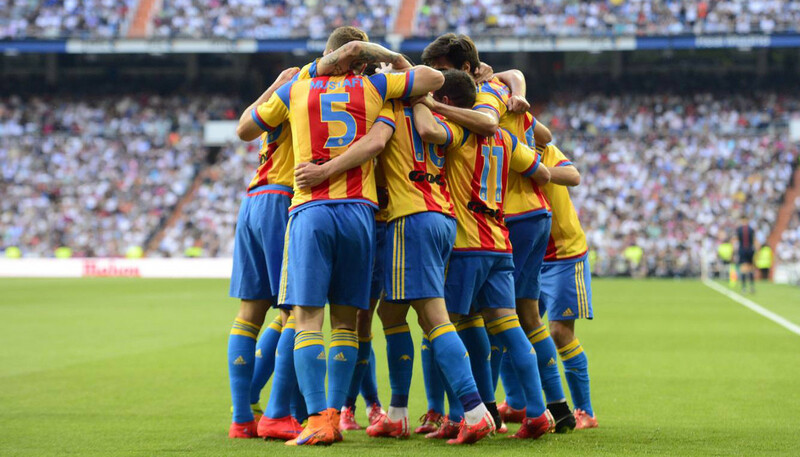 It’s a cauldron of positive energy and the fans are routinely voted as La Liga’s best. Games are a festive and friendly affair, with a welcoming atmosphere that always puts visiting spectators at ease. 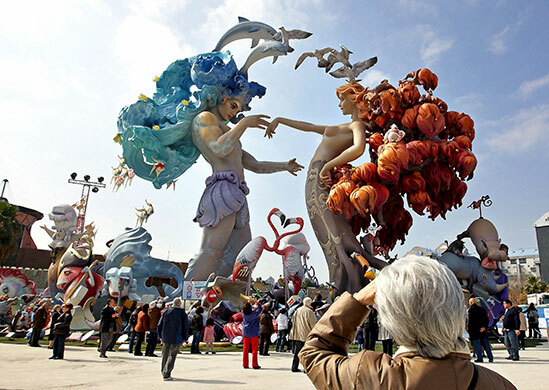 As well, we’ve got Europe’s largest festival you’ve probably never heard of: the Fallas. 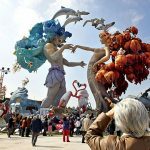 Voted a UNESCO Heritage event of cultural importance, the Fallas celebrate the coming of spring each March with the construction of huge colourful sculptures that each barrio designs and builds throughout the year. Displayed on the street and then on the final day lit on fire, the Fallas is a 17-day fiesta of fireworks, firecrackers, marching bands and outdoor bars that will astound the uninitiated. Around a million people gather in the central plaza of Valencia to witness the Crema – the final burning of the greatest (and largest!) of the sculptures made that year. Words can’t fully express the jolly madness of that event, or the eruption of the Mascleta, which happens daily during the festival. It is the largest firecracker symphony you will ever hear, a cross between an exhilarating concert and World War Three! The Mascleta is the largest ignition of gunpowder you are likely to experience in your life. Earplugs are recommended! Valencia is the proud home of the paella, Spain’s most renowned dish. 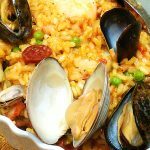 Invented at the nearby lake Albufiera, paella was originally a peasant food, consisting of rice (which was and remains the local staple) and whatever else was at hand, traditionally, snail, eel, rabbit, frog…and rat! Though rat is off the ingredient list now, paella with snails and chicken is a delight not to be missed. Why stop at sampling when there is no better place to learn to make it! 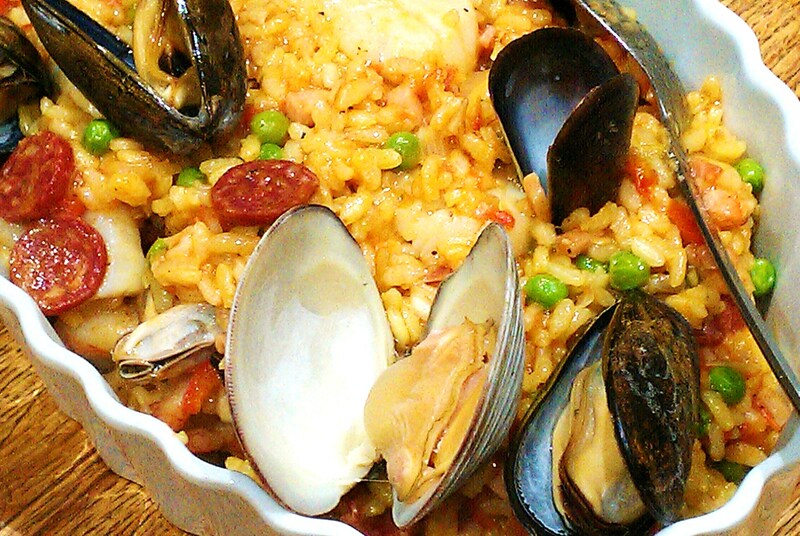 Valencia has loads of Paella cooking classes so you can gain the skills to make it yourself! We suggest trying a paella de mariscos to compliment the fresh seafood that is caught in the Mediterranean locally every day. 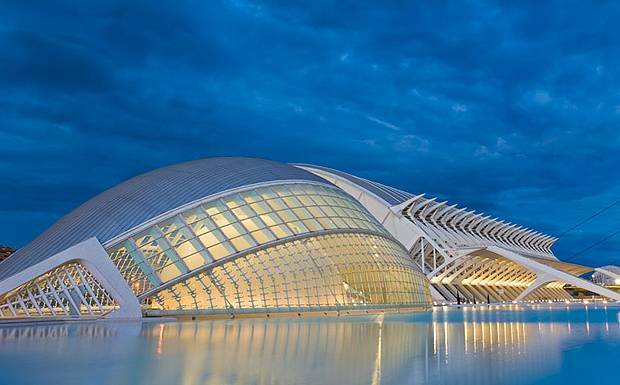 From the old and traditional to the ultramodern, Valencia has it all – come and see the the glorious City of Arts and Sciences, a futuristic collection of venues that showcase Valencia at its most sophisticated. Here is the Science Museum, an OMNIMAX movie theatre, a beautiful and architecturally astounding opera house, a massive indoor/ou tdoor nightclub club, and Europe’s largest aquarium! Featuring free outdoor concerts every weekend during the summer, this collection of landmarks really sets Valencia apart. This is just a taste of what Valencia has to offer. 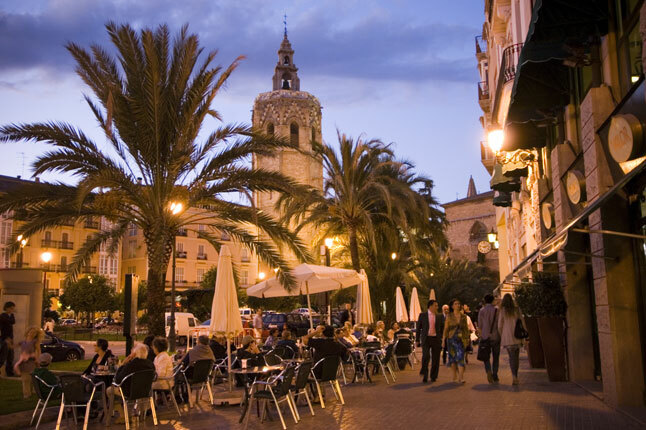 Visitors often fall in love with Valencia, like during that chance meeting with someone who brings joy to their lives. 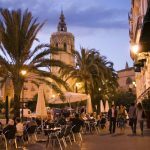 Valencia has so much to offer – an epic party zone in the old district of El Carmen, the world’s only riverbed transformed into a 10 km long pedestrian park running thoughout the city (El Turia!) and an international airport that has one metro line direct to the city centre. Valencia is the perfect city for your visit to Spain. You’ll be surprised how it captures your imagination and delights the senses. Undiscovered Valencia awaits!